Sometimes I make menus and sometimes I don't. Many times what I cook depends on grocery store sales, but that does not mean that I cannot plan a menu after buying groceries. When I shop for groceries, I have a list of things to get. This list is generally composed of items that my family and I have placed on the list. If I have meal plans, those meal related items would be on the list too. When I am on top of the game, I check the sales and add potential buys to the list, but more often I peruse the store or its flyer after arriving there. Another type of meal plans that I find useful is a running log of successful meals. The running meal log could be organized into categories in a meal planner that makes room for those sort of menu records. See this page on the running records thing: Meal Planning and forms that can be used for that type of menu planning can be found at: Menu Planner. A common type of meal plan is the 7-day menu plan. Meals are usually slotted by day and can include all 3 meals or less for each day. Lastly, if it helps being fancy, and sometimes it does, try a menu that resembles a restaurant menu with the entrees grouped by type and the side dishes listed in a separate group. 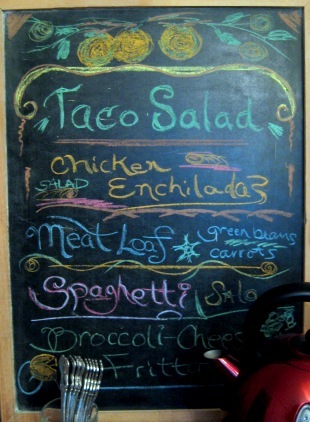 A trend among homemakers it to write the menu in colored chalk on a blackboard. The block-type menu planner in which you write your plans in each block. Menu planner for one week. Saturday and Sunday share a space. These settings apply to PDF files that are supposed to print in landscape, but are not AND on PDF files that have little to no margins. The 2-page planner pictured next are meant to be printed back to back. I designed the file so that the lists will print back to back so you can cut them off if you need to. The plans and list can be used for meal plans and shopping lists or something else such as a craft or home project and its associated list of supplies. Font: Garamond; Clip art: Microsoft online, search term: "Flourish"
Print the 2 page "Plans & List" Back to Back. Print page 2 on the other side of page 1. The Lists will then be back to back and may be cut off. Please don't ask me how to reload your printer paper. Thanks! The shopping list, the type with narrow columns, is like the one that I use. If I have any, I print mine of the back of scrap paper. I hole punch the top part of the strips and I place them on a key-ring. I hang the lists along with an ink pen in my kitchen. Meanwhile, I asked family members to add items to the list. Eventually they added to the list the things they needed without my prompting. Food-Stock/Staples Upkeep: I have this simple system of keeping the staples in stock. When I open something, such as a bag of frozen vegetables, I write the item on my shopping list. The next time I go shopping, I purchase the items. With this system, I do not run out of my most used items. I've been doing this for years and it works well for me. The family members writes what they need/use/open on the list. Actually I am understating the value of the method, this method is a genuine time-saver for me.